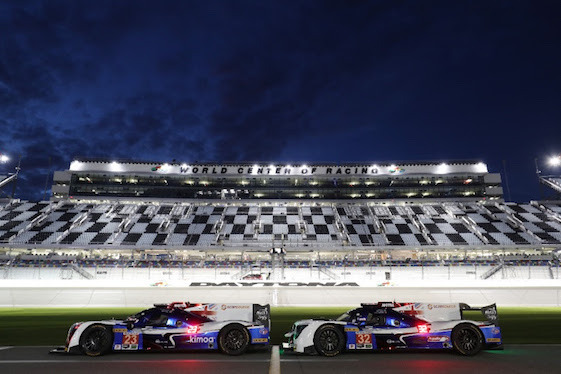 DAYTONA Beach, Fla. – How far sports car racing at Daytona has come since the first three-hour continental race won by Dan Gurney – now the late, great. He drove a Lotus motivated by the starter motor as it crossed the finish line. Fifty-six years later, what is regarded as one of the best-matched fields, if not the best ever, will take the green flag for this year’s Rolex 24. Glancing around the infield of the new Daytona stadium that surrounds the same banking as the days of yore, the word skillfully manicured comes to mind – although those potted geraniums may not make it through Sunday without at least a few cigarette butts. Alas, enough of the buts. Five years after the merger between the American Le Mans Series and Grand-Am, sports car racing in North America has reached a zenith. With two-time Formula 1 champion Fernando Alonso here with the United Autosports team of his McLaren F1 Team boss Zak Brown, the conventional wisdom is that American sports car racing has fulfilled the promise of its niche. Who needs all those NASCAR stars, whom you’d think would be here to prepare for a third road course on the Monster Energy circuit on the Charlotte “roval.” Instead, the emphasis here is on multinational, a point driven home by the Mercedes AMG pavilion, a “haus” that rises above the lush infield lawns like a glass mansion. But maybe the conventional wisdom is all wrong – and who would have thunk it? Perhaps NASCAR’s Cup racing is now the niche and the world of American sports car racing is just booting up and has yet to reach its rev limit. Zak Brown and United Autosports will field two cars for the Rolex 24. Two-time Formula 1 champion Fernando Alonso will co-pilot one of those entries. means more talent in the pipeline for those who would be professionals and more future eyeballs for the television – or those TV apps available on Android and iOS devices. The smart money, however, is on no concordance across the metaphorical seas. The Automobile Club de l’Ouest in Le Mans and the FIA’s World Endurance Championship want hybrids and the Americans want a standard, universal LMP2 chassis. This twain is not likely to meet, despite overtures from Brown and, by implication, his F1 pilot of renown. 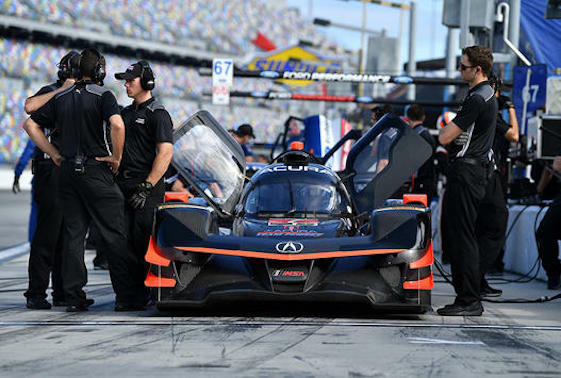 Does this leave sports car racing in North America as a niche – despite it’s current zenith? This time of year, Daytona and Florida are the warm appendix to an otherwise bleak and cold continent. So, hope springs eternal in the Daytona paddock in a sport where the first couple of practice sessions prior to the season-opening 24-hour qualify as baseball’s equivalent of spring training. Consider this hope springing along the lines of a short stroke (the season’s first blush of competitive passion) under heavy compression (a couple of days of practice). There’s got to be some way to get everybody on the same page with rules in a way that enables all to rise. in anger once more on Saturday and the oasis of hope is likely to dry up as usual, a mirage once more. Yet, don’t look now. The Americans currently have a credible F1 team; one of its most storied European teams is now run by an American; and the all-important marketing rights to F1 are held by Liberty Media, an American company. Then there’s the Quixote-like quest of the Spaniard attempting Daytona’s 24-hour and reminding folks of how great it is to race on the high banks of Florida. Maybe this case of American West meets Western Civilization can best be summed up by a meeting between endurance racing great Hurley Haywood, originally of Chicago, and Alonso. During the Road Racing Driver’s Club dinner on Wednesday evening, Haywood shook hands with Alonso and thanked him for coming to Daytona. The Spaniard saw the Rolex on this congenial man’s wrist and asked him if he had won the watch in the 24-hours? Haywood replied that he had five watches and had two Le Mans victories and three at Sebring. “You’re Hurley Haywood!” said Alonso, who proceeded to ask the American for some advice. Haywood suggested that patience in traffic was the key. And told him that once out of the car to just “switch it off” and let others worry about his team’s race. Useful advice as Alonso and United Autosports embark on trying to outlast a deep field of prototypes and maybe get to the podium on consistency in the absence of speed. But in pre-race remarks, Alonso acknowledged that he tended to follow his car on the TV monitor when he wasn’t in it. So, maybe getting rest between stints will be his biggest challenge. Too bad the guys at the ACO and the WEC are unlikely to ask the American group hosting the Rolex 24 for advice on how to build a healthy series that doesn’t depend on a couple of years of feast followed by inevitable famines, which is chapter and verse of European-based sports car racing when it pursues world championship status. While Brown cannot insert himself directly into the rules discussions, he can side with Toyota and at least one other manufacturer when it comes to pitching for a universal sports prototype. He’s got skin in the game and that’s a start. For his part, Alonso is preparing for an assault on the mythical and Cervantes-like Triple Crown consisting of the Indy 500, the Le Mans 24-hour and Monaco. (Picture a three-bladed windmill.) The F1 Argonaut believes he can win at Indy – and who would disagree after last year’s performance? – and certainly he can win Le Mans as long as he gets on the right team in the right equipment. As for Daytona, his hope is more of the endurance kind, as in long-range planning. Meanwhile, it maybe pays to remember that Dan Gurney created a universal car for F1 and Indy and eventually succeeded as a constructor in both. The year he won at Spa in his Eagle, he also won at Le Mans in a Ford shortly beforehand and then came home to win a Trans-Am race. He was soon nominated to run for president. So, anything’s possible in motor racing. Just ask Dan. He’ll always be around.